Are you ready to do what it takes to SOAR in your business or career? Like countless others with that same desire, navigating from here to there may seem more like a scavenger hunt than a fascinating journey some days. Maybe your business needs a performance enhancing tune up. Perhaps you feel trapped in an unfulfilling job and are discouraged about your prospects in a challenging economy. 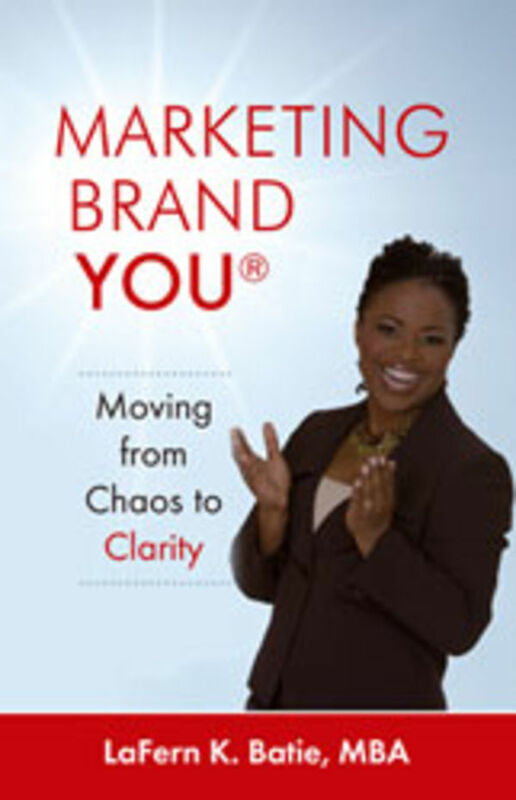 As CEO of your business or career, achieving maximum success begins with Marketing Brand YOU®! From purpose to performance, LaFern Batie, executive coach and business strategist, holds the lamp for you on your path from mediocrity to magnificence. Like any leading brand, you must be positioned to consistently deliver the value that you promise. How do you really set yourself apart? What values, skills and attributes do you possess that others desire? How can you increase your branding and confidence quotient? Who do you need on your team to execute your marketing strategy? How can you improve your competitive position with a strong Professional Portfolio? What steps must you take to position yourself as a market leader? Your potential is extraordinary. Make today the day that you bring that potential to life through your branding breakthrough!